TriStar Productions announced today that principal photography has been completed on The Walk, which stars Joseph Gordon-Levitt as French daredevil Philippe Petit, the man who pulled off an incredible feat by walking between the Twin Towers in New York on a tightrope. USA Today has the first two photos from director Robert Zemeckis' true story adaptation, which you can check out below, along with more details from the production. Philippe Petit's illegal high-wire act was chronicled in the James Marsh documentary Man on Wire, an event which took place exactly 40 years ago tomorrow. Director Robert Zemeckis reveals his new film will give viewers a whole new perspective. "We always see the most boring angle in high-wire walking: We're just looking up. Now we can put people up there." After eight years in development, the film was shot in 3D, which is one of the reasons TriStar Productions chairman Tom Rothman gave the green light for production to start, after watching last year's Gravity. "This is Gravity meets Ocean's Eleven. You've got an underdog team planning what's actually an endearing crime." Although Philippe Petit, who was 24 when he made the infamous walk, was initially arrested right after the incident, the police dropped all charges after he agreed to put on a high-wire act for children above a lake in Central Park. Here's what Robert Zemeckis had to say about Philippe Petit after conducting several interviews with him. "He wasn't trying to steal money or sell plutonium. He was just trying to create performance art. And he created this beautiful, human moment that changed the way we looked at the towers." Philippe Petit himself recalled the feelings he had while making that infamous walk. "It's very intimate, to feel you're that near heaven." Robert Zemeckis added that he feels his movie is a "love letter" to New York and the Twin Towers, which were destroyed during the 9/11 terrorist attacks. "(It's) a love story to the city, to the towers. He's the only person who ever walked it, who ever will. There's something beautifully powerful about that." Philippe Petit revealed that he believes the film will replicate what he felt on that tightrope, 40 years ago. "Imagine the grandeur. There's such elation when it's just the birds, the sky, and you." Take a look at the official press release from TriStar Production, announcing the completion of principal photography on The Walk. Principal photography has wrapped on the inaugural film from Tom Rothman's TriStar Productions, now officially titled The Walk. 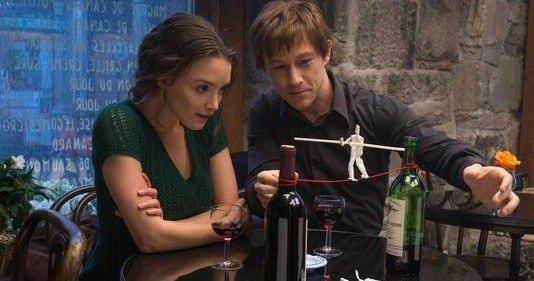 Directed by Robert Zemeckis, the film is a true story based on Philippe Petit's book "To Reach the Clouds," starring Joseph Gordon-Levitt as the young dreamer who dared the impossible: an illegal wire walk between the World Trade Center towers. Zemeckis wrote the screenplay with Christopher Browne. Producers are Steve Starkey, Robert Zemeckis, and Jack Rapke. The film will be released on October 2, 2015. Tomorrow, August 7, is the 40th anniversary of the astounding event, now being brought back to vivid life in the third act climax of the film. Twelve people have walked on the moon, but only one man has ever, or will ever, walk in the immense void between the World Trade Center towers. Guided by his real-life mentor, Papa Rudy (Ben Kingsley), and aided by an unlikely band of international recruits, Petit and his gang overcome long odds, betrayals, dissension and countless close calls to conceive and execute their mad plan. Robert Zemeckis, the director of such marvels as Forrest Gump, Cast Away, Back to The Future, The Polar Express and Flight, again uses cutting edge technology in the service of an emotional, character-driven story. With innovative photorealistic techniques and IMAX 3D wizardry, The Walk is true big-screen cinema, a chance for moviegoers to viscerally experience the feeling of reaching the clouds. The film is a love letter to Paris and New York City in the 1970s, but most of all, to the Towers of the World Trade Center. The production's creative team includes director of photography Dariusz Wolski, production designer Naomi Shohan, editor Jeremiah O'Driscoll, and costume designer Suttirat Larlarb. The composer is Alan Silvestri. Moviegoers can follow the film on the official movie site at TheWalkMovie.com, on Facebook at Facebook.com/TheWalkMovie or on Twitter @TheWalkMovie.